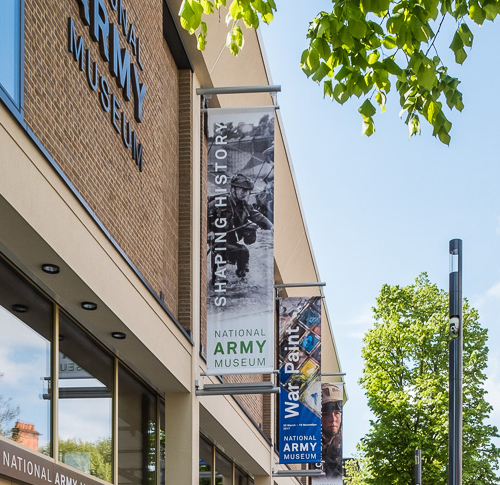 The new National Army Museum opened in London following a £23.75 million redevelopment of the Chelsea site supported by the Heritage Lottery Fund. 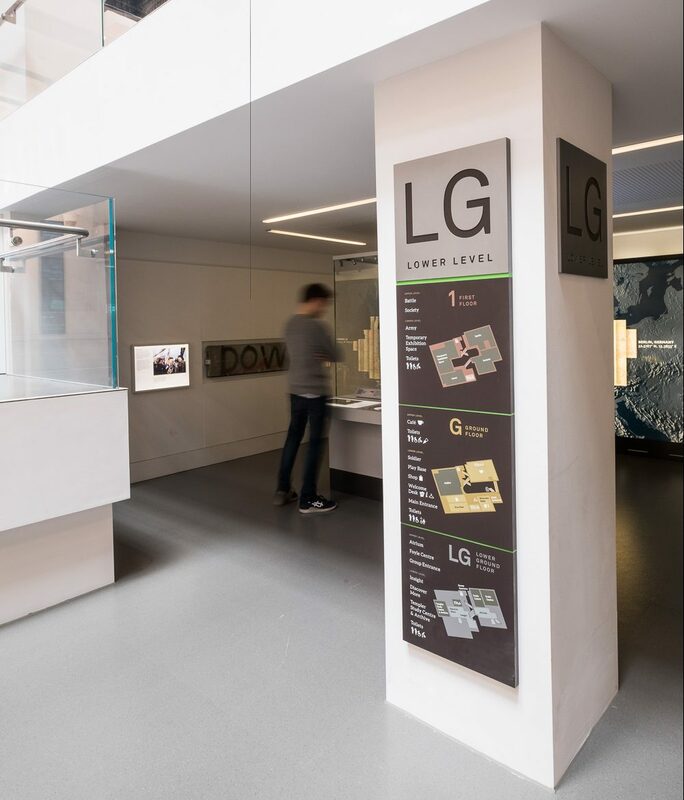 The museum has undergone a radical transformation providing a welcoming and interactive space of discovery divided into five permanent thematic galleries that includes over 2,500 objects. 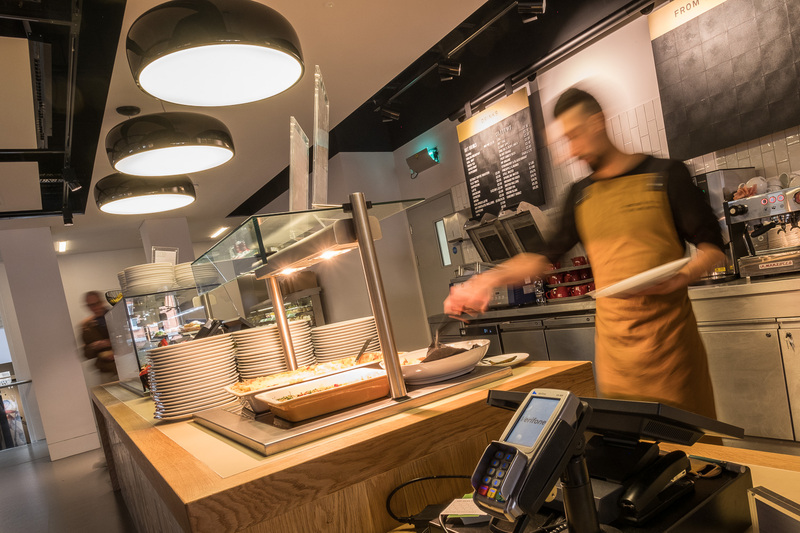 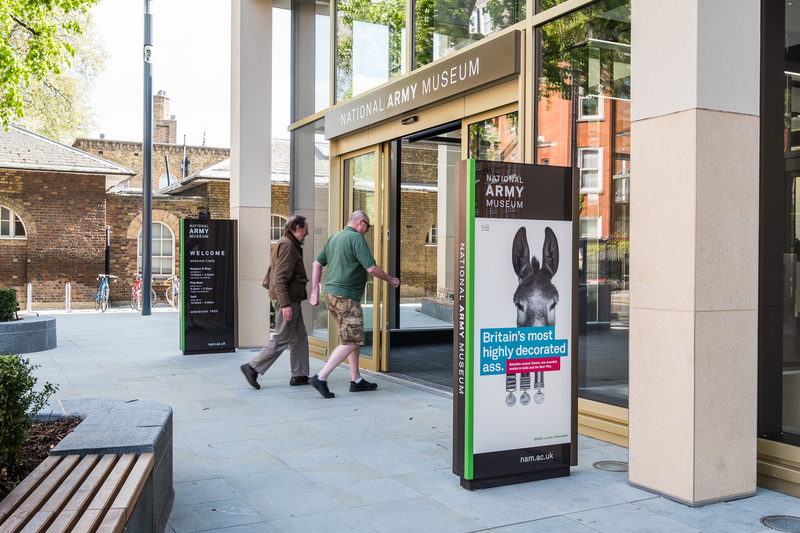 ABG Design were one of the key agencies working with the National Army Museum and Architects BDP to create a new bespoke signage and orientation scheme together with supporting visitor literature and café graphics. 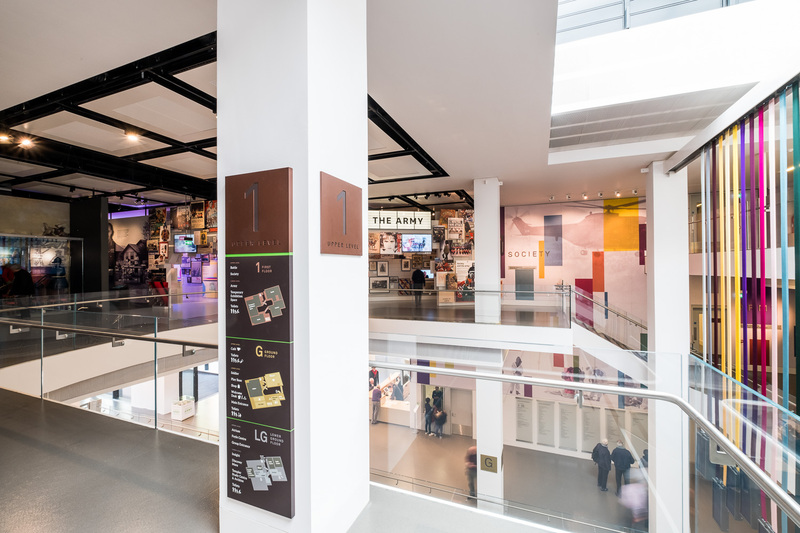 In addition to the signage ABG have been responsible for designing the new Museums first temporary exhibition ‘War Paint: brushes with conflict’ that has over 130 paintings and objects and explores the way war has been depicted.